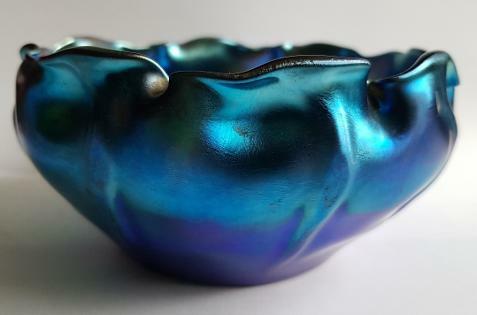 Tiffany Bowl 15.5cm Diametre 6c High Beautiful Iradescent Blue marked L.C.T Favrile. Jean Luce (1895-1964). Glass vase with wonderful enamelled decoration. 14cm high. French 1930. Signed to base. Loetz Silver Overlay Vase In A Secessionist design 17.5 centimetres high. A PAIR. Jean Luce. 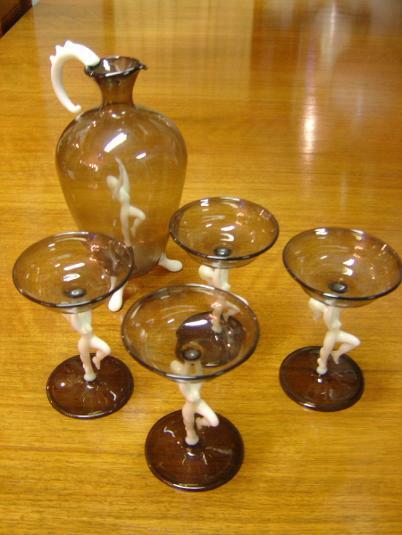 Matched Pair Pair of Candlesticks. Deep Acid cut decoration. 14cm high. Hector Whistlers Glass ETCHED panels from the Philharmonic Hall Hope Street Liverpool. A smokey grey acid etched vase 22cm high. Acid etched tall slender vase signed DAUM Nancy with the cross of Lorraine. 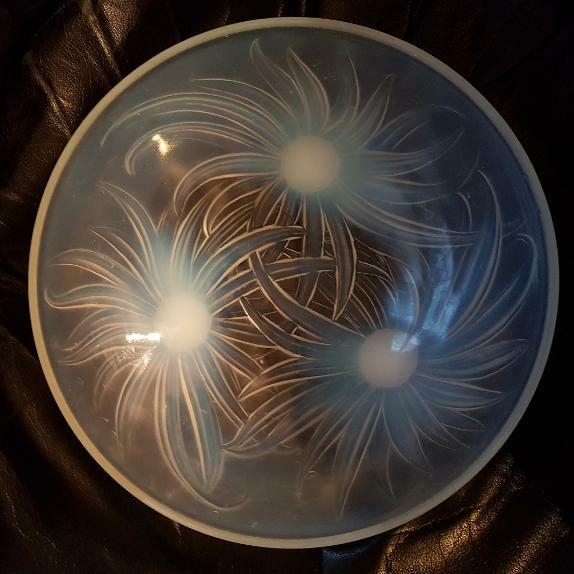 D'Avesn Clear and frosted shallow bowl with a depiction of a Bird of Paradise.